Physician burnout is as epidemic as the plague once was, as malignant as the most devastating cancer, and as silent an assassin as hypertension. The topic has garnered much attention not only because of its impact on the healthcare practitioner, but also due to its detriment to the patient. While a search for the term “physician burnout” produces massive amounts of data, self-help tips, and advice on prevention, the conversation lacks organization, uniformity and a standardized approach to the management of burnout. The available information has missed the mark in connecting with its physician audience, who have been programmed to follow algorithms, charts, and step-based approaches to disease treatment. For an individual experiencing burnout, this confusion can lead to feelings of angst and despair. Medscape’s 2018 National Physician Burnout and Depression report shows that 42% of physicians are “burned out” and at least one-third feel they are easily exasperated and less engaged with patients. Finding a solution to this prevalent problem starts with knowing how to appreciate the pervasiveness of burnout, recognize its symptoms, and understand its pathophysiology. Only then will we be able to develop the ability to prevent and manage it. Caveat: Like any disease, burnout has both general and particular aspects to it. 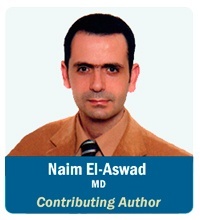 Whereas small cell carcinoma is the same diagnosis among all who have it, their stage, paraneoplastic syndromes, response to treatment, and comorbid conditions are as unique as each individual who experiences it. Burnout is no different! Burnout is a disease of emotions. It is defined as persistent physical, mental or emotional exhaustion caused by long-term stress, usually as a result of excessive work and/or personal responsibilities. It can lead to feelings of lack of personal development, becoming cynical, and developing a gradual erosion of enthusiasm for work. Burnout develops over time. Its chronic nature makes it difficult to detect until it manifests in an acute fashion, such as emotional explosions, erratic behaviors, suicidal thoughts, drinking alcohol, or compassion fatigue. Like any malignancy, burnout is dependent on time, physicians’ personal abilities, and the cumulative effects of practicing our profession. More often than not, it is undetected until it is too late and some damage has already been done. Psychologists talk about the pendulum of emotional states physicians are usually in and the way they must oscillate between them. Being burned out is no different. 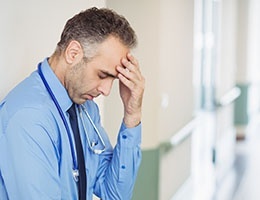 Some days are worse than others, but when burnout affects physician performance and leads to medical errors, it becomes an important patient safety issue as well. Physicians have the ability to recognize burnout but haven’t been taught how. If we had an innate ability to detect any malignancy, we would want to know about it, train in it, and master it. When it comes to burnout, that ability lies in the realm of our emotional intelligence. Simply stated, emotional intelligence is our capacity to understand and manage ourselves so that we can understand and manage others. Much like the instruments in a plane, emotional intelligence becomes the optic for how we visualize ourselves, understand our own internal emotional readings, and learn to adjust, control and avoid disastrous outcomes for ourselves and our patients. We are able to learn about our own emotional intelligence and train ourselves to become better at it. When we do, we can develop great optics, but those optics will not help us much if we are unable to take action. Wellness, self-care and a balanced life give us the greatest opportunity to place ourselves in the best position to do just that. Partnering with The Sullivan Group, we have created a new course that offers the tools necessary to embark on the journey to recognizing, understanding and combating burnout. Once we understand it, we are able to develop action plans that can target it in a personalized approach. This course is meant to be a “lamp” that helps light the path to a healthier, more complete, less burned-out practice of medicine. Physician burnout is covered extensively in our new course on this topic, available here.